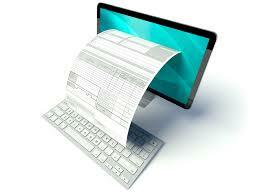 E-invoicing is conversion of manual invoices into electronic ones. Sending and receiving electronic invoices is great as it saves time and effort for businesses. Sending and receiving invoices in the same format, automatic tracking of receivables and payables, reconciliation, alerts on bad debts etc. are some of the benefits for users. Hence, for a user to fully enjoy the benefits, stakeholders in the supply chain should also avail the e-invoicing option and hence network effects has a strong role to play. As mentioned above as well, electronic invoicing helps businesses save time, effort and cost and also tends reduce the risk of any errors in the invoicing process. However, there is an investment which a user must make in terms of time and effort to switch to the e-invoicing option. The long term cost and time savings will be the major factor which will push the user to do so.